Dr. Hsu is a bilingual (Spanish) licensed psychologist who has experience working with individuals throughout the lifespan utilizing individual, group, and psychological testing. In pursuit of her desire to provide culturally competent and sensitive bilingual services to ethnic minority populations, she enrolled in the Diversity and Community Mental Health Proficiency Track at the Pacific Graduate School of Psychology at Palo Alto University. Dr. Hsu specializes in suicide prevention and intervention, anxiety and mood disorders, trauma recovery, and interpersonal relationships. Dr. Hsu’s research and clinical interests include decreasing mental health disparities, suicidology, and understanding how the complexities of human diversity influence emotional health and coping styles. Her therapeutic approach is integrative and strongly influenced by Dialectical Behavior Therapy, Cognitive Behavior Therapy, and aspects of rapport building from the humanistic tradition. 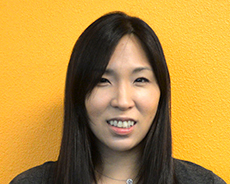 Previously, Dr. Hsu completed her APA accredited internship at Didi Hirsch Mental Health Services in Culver City, California and her APA accredited postdoctoral residency at Kaiser Permanente in Redwood City, California. At present, Dr. Hsu also conducts quality management at Center for Social Dynamics.